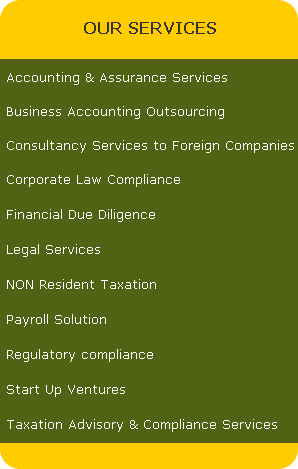 All the companies doing business in India are required to comply with laws and procedural regulations of India. It is recommended to set up corporate compliance programs .If your company does not have the compliance program, then contact us to help you set up one for you. "RKSA" covers compliance with corporate laws and relevant regulations, and shows you how to design, implement, manage and monitor an efficient, effective legal compliance program. It will help you identify risks, assign those risks to job descriptions, create appropriate corporate policies, establish control programs, communicate effectively and prove the effectiveness of the program. We show you how to figure out what is really required for an effective legal compliance system.